A mysterious evildoer has surfaced and it is up to you to use your sleuthing skills, in this Hidden Object game, to halt his cryptic spree of violence! As a seasoned detective, you will have to gather clues and explore the untouched crime scenes. 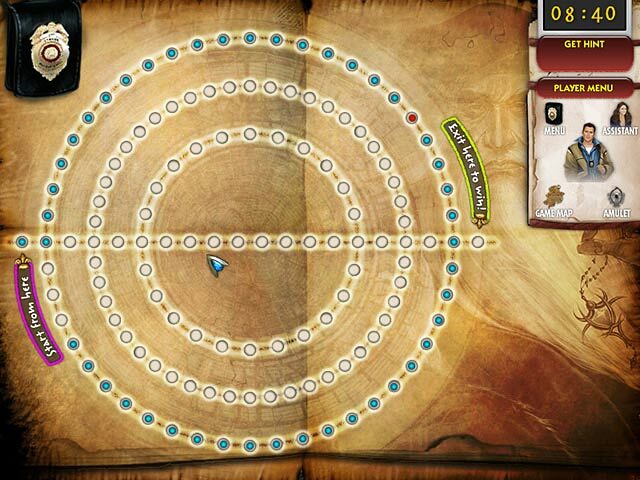 Decipher tricky puzzles and minigames. Go Between the Worlds and save the city from these inexplicable crimes, and banish the evil doer behind it all! 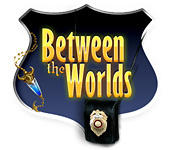 Between the Worlds is rated 2.7 out of 5 by 18. Rated 2 out of 5 by auggie1224 from Did not hold my interest Boy, we have had a slew of not to great HOG's to trial! What is going on BF? I agree with another reviewer, these seem to be first generation games that you have pulled out of a dusty drawer. Too many new, cool games to bother with games like these. sorry another thumbs down. Rated 2 out of 5 by rainbowspromise2 from Save your money and time Hidden object Game I read the other reviews and I thought ,"It can't be that bad." and I found out it was as bad as some said, while not even remotely good like the other reviews. My conclusion is to save your money. The objects are stuck below the frame line and hard to define. The objects throughout were scattered and sized rather willy-nilly. Some objects were so small and it seemed as if they had tossed them into the picture frame to fall where they willed, usually at the bottom where they were 3/4 hidden so you could not tell what it was. The storyline was ridiculous at best, I think a child could have come up with a better plot. They seem to have used more than one person creating the story and pictures for each scene, which would have been fine if they had clued everyone in about the others work. Music was annoying also. Rated 2 out of 5 by scoot328 from Waste of time Got about 15 minutes into it and, while it's all hidden object, the targets are too small and the hint recharge is too slow. 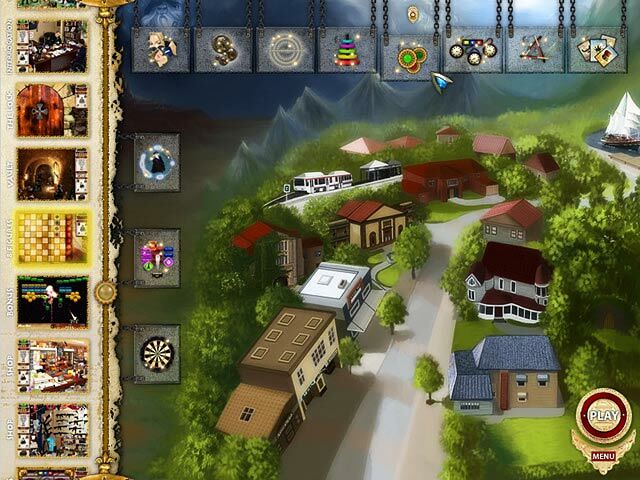 If you enjoy hidden object with no real story and no apparent let up to searching for minutia, this is the one for you. Rated 2 out of 5 by soul4ever from This game gives bad name to the family of HO games. Stay away from it if possible. I played like 10 minutes of the demo and was wondering why someone even bothered creating this game. I uninstalled this game never to look back. The graphics are low quality, to find the items is hard not because eye sight issues but because they are small and not well defined some of them even hide in the bottom of the screen I just clicked away hoping I hit something. The hint takes forever to recharge and the plot wasn't all that impressive. This game looks very amateurish and nothing in it made me wanna own this game. Rated 2 out of 5 by Maneki13 from Poor quality I read the story line and thought this might be an interesting game as I love 'urban style' fantasy. Unfortunately I could not get myself to continue playing the game as the graphic is awful. The fuzzy HOG scenery was just a negative distraction and very straining on the eyes, that it just put me off the game. Rated 1 out of 5 by cheen1153 from Hard to See Hidden Object Game When trying to play this game I was unable to make out the objects. They were too small. I had a headache ten minutes after I started playing. Rated 1 out of 5 by GrrlScientist from how did this one sneak in, big fish? 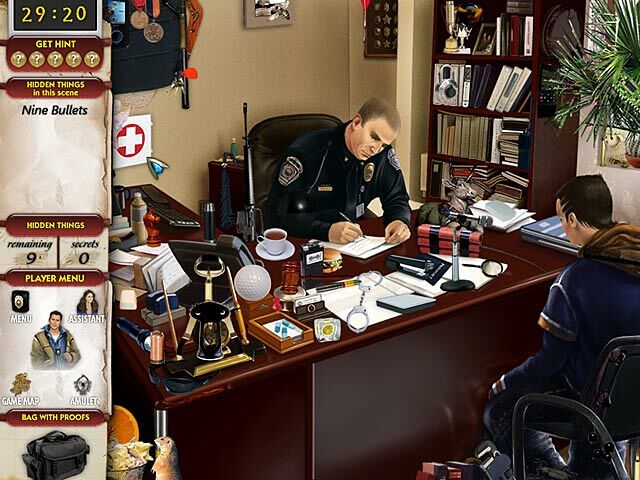 in this hidden object game, you are a detective who helps the local police to find an evildoer. storyline: they tell me this game has a story, but in my opinion, the story is the most perplexingly hidden object of all in this hidden object game. graphics: poorly rendered. the supposedly untouched crime scenes resembled a junk pile to my eye. further, few of the objects that are pictured have anything to do with the story, and few of the objects that you have to search for have anything to do with the story development. puzzles and mini-games: described as 'tricky" but i merely found them annoying. music/audio: there's just two soundtracks, and both are awful and annoyingly repetitive. worse, i could hear a man yelling in the background for one of the music tracks -- poor taste if this shouting was intentional, otherwise, a lack of professionalism if this shouting was unintentional. my interaction: one hour demo. in short, i doubt anyone will enjoy this game, and i do not recommend it. Use your detective skills to uncover hidden objects and halt a cryptic crime spree! Gather clues and explore crime scenes.